Cuba : Letras Cubanas Publishing House, 2002. 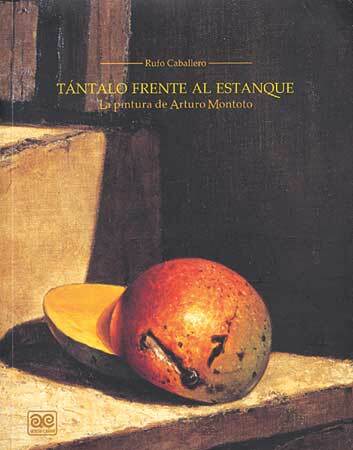 160 p.
In a little more than a 160 beautifully designed pages, the publishing house Letras Cubanas gave birth at the end of 2002 an important book about Cuban painter Arturo Montoto (Pinar del Río, 1953). Titled Tántalo in front of the pool, it includes not only excellent reproductions of 56 of his oil paintings but also a selection of critical essays by several authors, a chronology, a curriculum vitae, and exhibitions and references about the artist. These may all be considered an efficient and intelligent synthesis of one of the most outstanding trajectories within Cuban contemporary art. The catalog of works is preceded by an evoking essay by Cuban writer Rufo Caballero and a poem by Pablo Armando Fernández. In this large format, magnificently printed volume, we can admire oils over linen and four gouaches on paper from 1996 and 2002 that define a coherent, organic and mature visual poetics rarely attained within the domain of recent Cuban painting. Even when acknowledging that Cuba is a country of painters, before and after the postmodern wave flooded the whole range of galleries and museums in the island with installations, performances, urban interventions and techniques of cruel hybridity, painting occupies its place in an exemplary way in the splendid hands of Arturo Montoto and comes back ¿ if anyone believed it had retired- in its own, ready to reinstall itself within the cultural map of the island with the same force that gave so many surprises and wonders since the far away decade of 1940. Architectonic elements, fruits and objects conform a particular grammaticality based on chiaro oscuros whose diversity of contrasting planes make us think of a very personal interpretation of the Cuban baroque that had so much influence in cathedrals, palaces and mansions in Cuba and Latin America during the colonial period. A hyper-realist or photographic architecture and nature serve to organize the discourse of this painter who studied in Cuba and the former Soviet Union. His works are part of private and state collections in the Caribbean, United States and Europe. These narrative elements, under the light of a theatrical perspective ¿sometimes even ironic- in which the constant use of ochre colors refer us to the classics of universal painting, speak of the basic needs of human kind both in the spiritual and the material realms. They are capable of moving us in their deep structural simplicity and in the plurality of meanings that gravitates within each piece. All work together in order to nurture the fire of poetry, immanent to the authentic work of art.